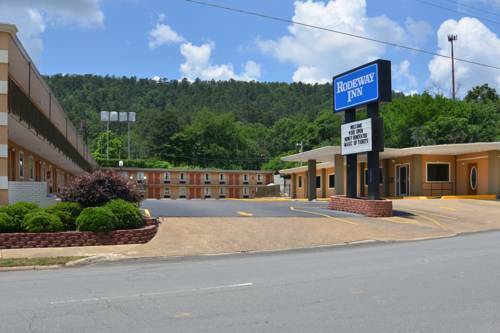 The Rodeway Inn hotel in Hot Springs, AR is near Magic Springs theme park, Summit Arena, Hot Springs Convention and Civic Center, and historic Bathhouse Row. There are a number of restaurants, shopping centers and attractions nearby. The hotel offers a free continental breakfast and free high-speed Internet access. Guests will also enjoy the seasonal outdoor pool. ~47 miles from Hot Springs. As "Watermelon Capital of the World," Hope's Visitor Center mostly devotes itself to exhibits on Hope's giant watermelons, but does reserve some space for its other local pride and joy, President Bill Clinton. ~66 miles from Hot Springs.